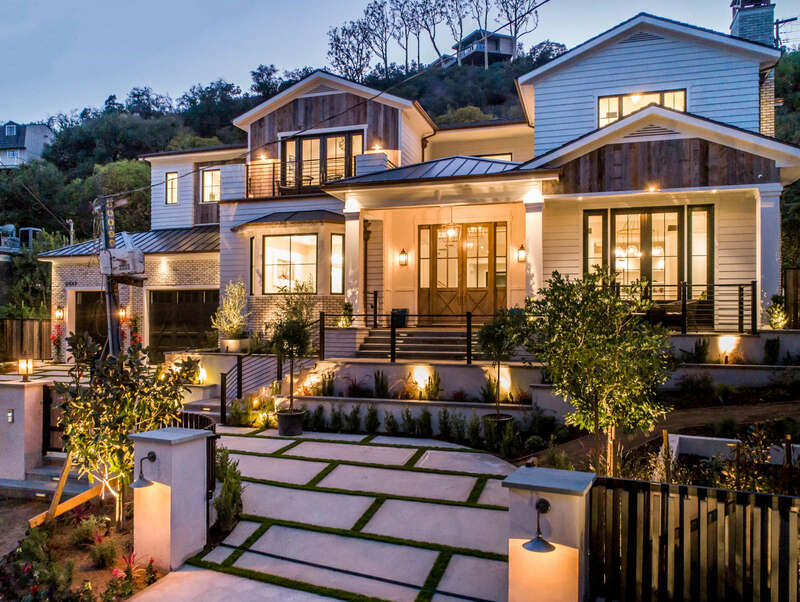 Expansive, light-washed spaces and softly glowing woods combine to beautiful effect in this new gated estate at 2333 Mandeville Canyon Road. Covering some 10,600 square feet, it offers an environment for living and entertaining on the grandest scale. Every element of the residence reflects the utmost in artistry and quality, from wide-plank French oak flooring to dramatic lighting. The entry opens to a vast center hall with soaring views of the upper level. 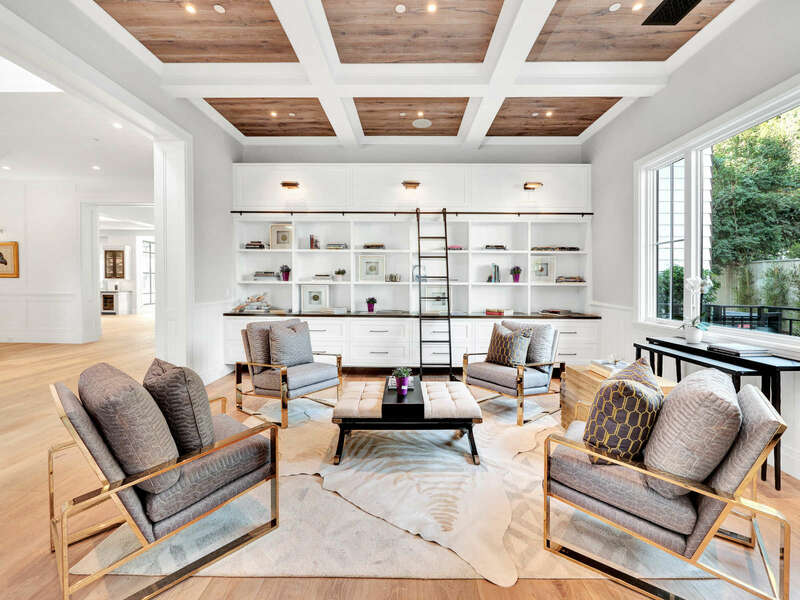 In the elegant living room, custom sliding barn doors open to the adjoining library with built-in cabinetry and ladder. A jewel-like powder room delights with backlit onyx counter and golden lighting fixtures. 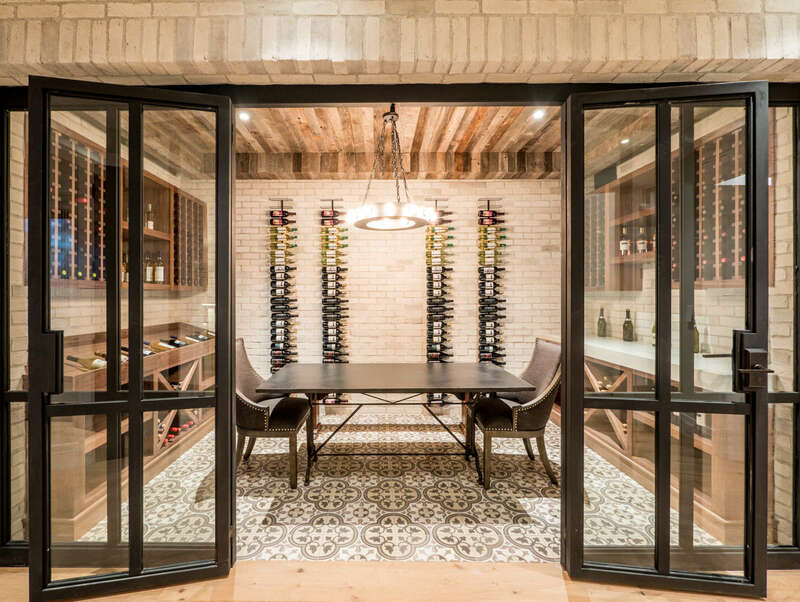 The enormous dining room is served by a long double butler’s pantry. An immense state-of-the art chef’s kitchen with breakfast room flows to a spacious family room, where disappearing sliders open to the barbecue area, pool/spa and grassy back yard. Two guest/maid suites flank the home on this level. Upstairs, the lavish master suite is highlighted by a vaulted and beamed ceiling, relaxing fireplace and ultra-luxe bath. Three more bedroom suites and a loft family room complete this floor. The basement level is home to an upscale range of amenities, from custom bar, game area, theatre and wine room/cellar to gym and steam room. Smart home technology includes Crestron+Lutron systems. There is a three-car garage plus parking for additional cars. The incomparable estate is listed by Susan Stark at $13,499,000.